New Bedford, MA – I was playing a round at a local course recently and as wont to happen from time to time ended up mishitting an approach shot badly enough that it landed in some bushes to the side of the green. Not wanting to lose another ball to another bad shot, I decided to quickly peruse the calculated landing area before having to dip into the bag for a replacement. I was glad I did because the bushes produced a virtual gold mine of golf balls representing most of the major ball manufacturers out there. There was a TaylorMade, a Titleist, a Callaway and, for the first time, a Kirkland ball (I’d heard of them but had never actually seen one). Not wanting to squander my good fortune I thought I’d play each and see if there was a real difference between them. I also hauled out a sleeve of balls from Snell Golf for comparison. 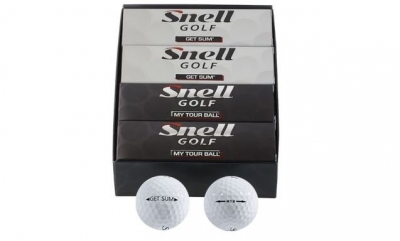 Snell golf is a relatively new ball manufacturer under the leadership of highly reputable designer Dean Snell. Snell spent a quarter-century working for some of the “big” golf ball manufacturers and from his brain emerged several of the largest selling and best producing (in terms of Tour wins) balls of all-time. Snell decided to go it alone a few years back. We caught up with Dean recently to find out what motivated a seasoned equipment designing professional to want to take things solo. GolfTheUnitedStates.com: Obviously Snell Golf has an interesting story. After working for the top manufacturers for so long, why did you decide to start your own company? Dean Snell: I was blessed to work for two great companies at Titleist and TaylorMade for a long time and moving to a small, family owned business has been fun, a great learning experience, and very rewarding to see the success. I wanted to bring a more affordable yet premium golf ball offering to all golfers and have some fun while we did it. So far we are doing just that. When we launched, we had many discussions about what to name the company. We felt that if we came up with another name, then the conversations would have to be about that name, plus the credibility and experience I have in developing balls for the best players in the world. So by naming it Snell Golf, it would tie into the name of the designer of some of the best balls in the world over the past 2.5 decades. I have enjoyed it, as we have some family members working with us, and it’s a great environment to work in each day. Looking forward to the years to come. GolfTheUnitedStates.com: Most manufacturers offer quite a few different types of balls to choose from. Is Snell Golf able to cover all players with two choices? Will Snell be introducing more models soon? Dean Snell: Today, the choice in golf balls is very confusing. Most companies offer models at different price points, and often 2, 3, 4+ different tour type balls out in the market. We started with one, and use that ball and test feedback to see where the customers would like changes in performance. We use that information to develop future prototypes, which can be turned into future products. So today we have two models, but we do have plans for additional models that will capture some varying desired performance criteria that our customers are asking for. 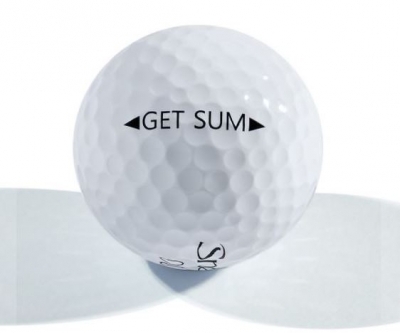 GolfTheUnitedStates.com: What is the difference between the Tour ball and "Get Sum”? 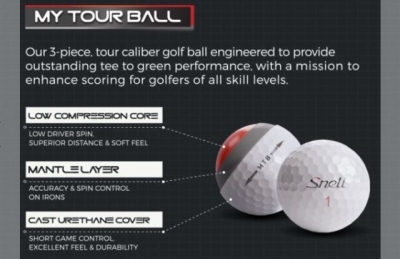 Dean Snell: The tour ball MTB is our flagship product, and is a 3pc cast thermoset urethane covered ball that delivers total tee to green performance at the highest level. We have a golf ball that is one of the longest balls tested against all tour level balls, and also gives spin control with irons, and excellent short game spin and control with the multi layered designed. The GET SUM ball is our very soft, low compression 2-pc ball that flies higher with less spin. It makes it easier to get up in the air with less hooks and slices with great feel, long distance and easy to play. GolfTheUnitedStates.com: The major manufacturers invest millions into production facilities. How is Snell able to manufacture balls without the production capacity of the "big" companies? Dean Snell: Every major manufacture out there today has multiple factories they use, and all have overseas locations that make balls for them. I spent several years during my time with TaylorMade helping to create high end quality control and best processing techniques at these factories. It is very common for factories to make golf balls for different companies. This allows them to keep volumes up, costs down and keep the skilled labor that can manufacture to top quality standards. So it is not necessary to build your own factory today, since they already exist with open volume. 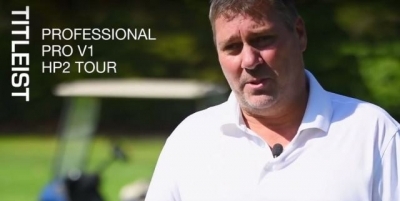 GolfTheUnitedStates.com: How important is ball fitting in selecting a ball for your individual game? Dean Snell: The golf ball counts on every shot. No other club does. Players spend lots of time and money on the range hitting balls and fitting clubs, but the ball is never tested to find the right one. Golf ball fitting is actually a very simple process. Today, most golf balls all go about the same distance off the tee. We all make them low spin, fast speed, and higher launch for added distance. However, they are much different from 100 yards and in. I suggest players take a sleeve of 2pc (GET SUM) and sleeve of tour balls (MTB) out on course. Start at 100 yards, hit multiple shots at 100, 70, 50, 30 yards. Then hit some chips and putts comparing both models. Do this for 3 to 4 holes on course where you can see the performance on greens and around the greens and at some point in the test you will say, "I like the way it feels soft, feels firm, pitches hi or low, checks or releases” or whatever it is you like in performance will show in this short game testing. If you cannot tell any differences in this testing, then buy the cheapest one because your game is not at that level yet. Trust me that the balls will all be similar off the tee, but they are truly different around the green. If you play another brand, you can do the same test with their respective 2-pc and tour balls, and if you are an accomplished player, take 2 to 3 different brands of tour balls out there and do the test. We hope you will do this one, because you will see how good our MTB performs, and two, then realize there is a huge savings for your pocket. GolfTheUnitedStates.com: A lot has been made about the Kirkland (Costco) balls and their supposed comparability to the major manufacturers' products. Do you see more "independent" companies emerging in the industry? Dean Snell: One of the biggest assets we have today is the experience. I have seen over the years balls made at one factory, stamped multiple different ways for different companies, and sold... same ball and multiple companies, with no design or development… we will not do that at Snell Golf, and will continue to lead the way in the independent category. 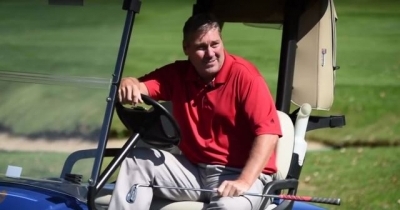 GolfTheUnitedStates.com: Anything else about Snell Golf of note? Dean Snell: We are a small start-up company that began selling balls in 2015. Last year in 2016 our sales grew almost 400 percent… that’s 400 percent… in business, a 10% growth is good… and we were 400%. This year continues to show similar growth and we are moving along with new product development and hope to have some new things out later this year. Word of mouth is a big part of our company to help keep costs down. We had 5 tour players contact us to play the ball on tour, but respectively declined due to the larger contracts requested… this increase in cost would have to be passed on to consumers, and our goal is to continue to try to keep this high performance affordable for everyone, to help grow the game and improve scores. Growing the game and improving scores – that’s what it’s all about, right? 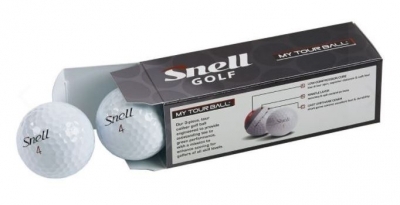 Snell tells a great story but I’m sure everyone must be dying to find out how my own personal “test” came out on course, that being Snell’s Tour Ball vs. all the other brands. As might be gathered from something as unscientific as this, the results were somewhat inconclusive. As Snell suggested above, all the balls seemed to go about the same distance off the tee. To truly tell the distance difference you would need a launch monitor to measure spin rates, carry distance and ball speed, etc. Every hole’s tee shot is different, too. I didn’t get a chance to do the 100-yards and in trial Snell suggested above, but I will say the Snell ball performed very well around the greens, where in my opinion ball execution matters most. With today’s green slopes and speed being increased to impress the high-end golf consumers, you need a ball that spins around the green in the right conditions. 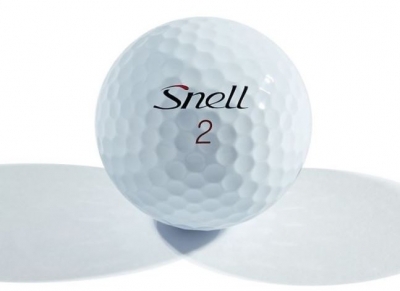 The Snell balls performed in a similar manner to the top-end models from Titleist and TaylorMade. The Callaway ball was a distance ball so I didn’t bother using it in the test. I also used the Snell balls quite extensively on trips to Hawaii and Georgia, so I have a good grasp of how they perform. I would certainly recommend you try them along with the “big” manufacturers’ products to compare. Golf is expensive enough as it is. 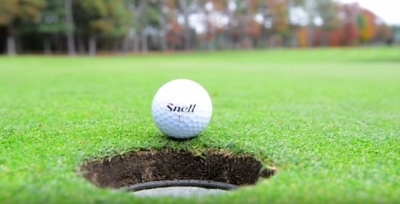 Companies like Snell golf provide a chance to enjoy the game we love and still have a little “green” leftover for the rest of life. Snell Golf now offer special wholesale programs for pro shops! Please inquire with our customer service team by emailing us at service@snellgolf.com or by calling us at (844) 763-5519.